The national song of India Vande Mataram which was in Sanskrit till now,and also to be noted that each and single line of Vande Mataram is understandable to a common man is being translated to Hindi by lyricist Dr Pallavi Mishr for Gandhi to Hitler film. AR Rahman’s Vande Mataram in 1997 was the first full fledged version of Vande Mataram.And as of now this song in hindi version is being sung and composed by Aman Benson Band. 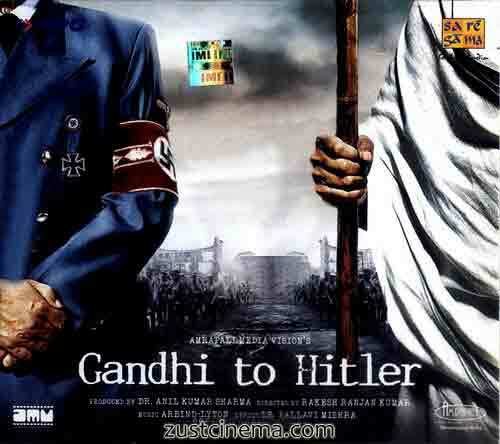 Neha Dhupia and Raghuveer Yadav in the lead roles Gandhi to Hitler directed by Rakesh Ranjan Kumar is all set to hit the silver screens on 29 July.